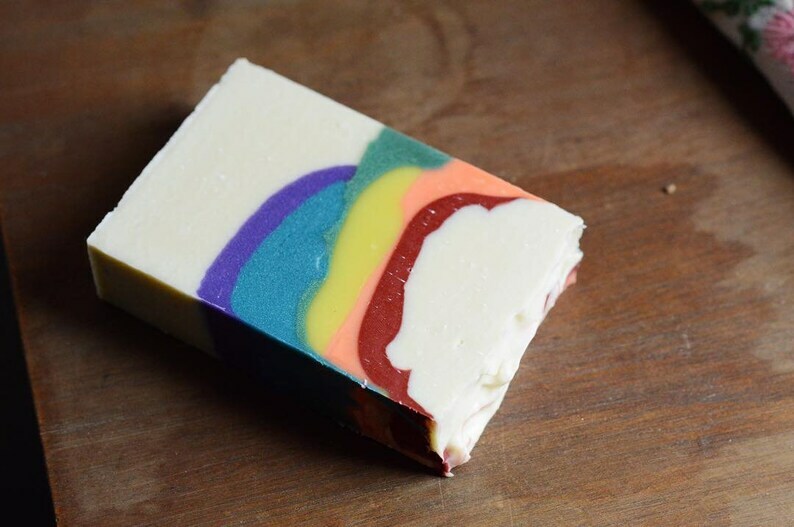 Rainbows and unicorns inspire this colorful soap! Scented with a Herbal Essence knockoff fragrance oil. 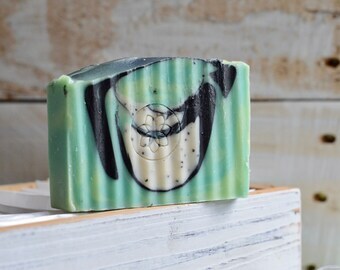 This soap will surely give your bathroom a fun look and leave your skin smelling fantastic! All of our cold process soaps are made from scratch using high-quality, premium oils creating a luxurious and skin-loving bar. 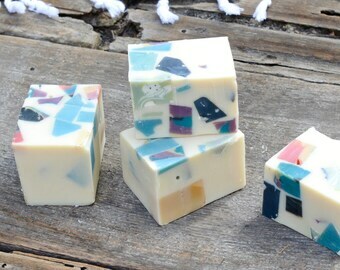 These homemade soaps make for excellent housewarming and birthday gifts that are unique and incredibly practical! Each bar at our shop varies in size slightly but mostly are 4" L x 2.5" W x 1" H. Our soap is wrapped individually with simple, brown Kraft paper with an informative label disclosing all ingredients. To keep your luxurious bar beautiful and long-lasting, it is important that you follow these simple instructions to care for your soap. - Keep your bar out of direct sunlight as the sun may fade the colors and fragrances. - Always make sure your bar properly ventilates after each use. Soap becomes mushy and will disintegrate quickly if left in a puddle in the shower or on the counter. To avoid this, invest in a slotted soap dish so the water can easily drain and the soap gets proper air flow. - For best results try to use your bar within 6 months of purchase. 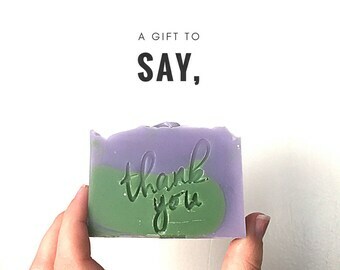 Thank you for visiting our site and for choosing The Soap.Bar!! Thank you so much! It’s really lovely! 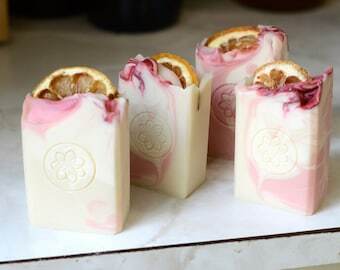 I kind of wished my soap had eyes on it like it does in the picture, but other than that, fabulous! The only soap I use anymore! Although they’re almost too gorgeous to use! And smell heavenly! 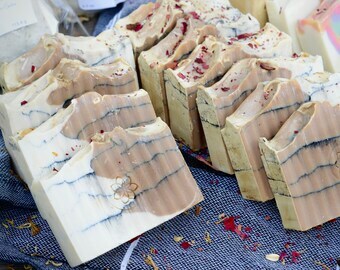 Handmade soaps are full of glycerin so you can both clean AND moisturize your skin. They do not contain any unnatural or harmful chemicals. We order all of our supplies from trusted suppliers and research the quality and origin of all our ingredients. Most ingredients that make up soap are ones that you can find in your own kitchen! 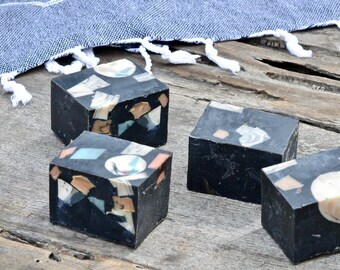 Finally, handmade soaps promote and encourage small businesses. Who wouldn't want to support that cause?! What does it mean for products to be vegetarian or vegan? Fight Club is a good movie... but we are not like Fight Club. Many soap makers produce their products using lard or animal fat. All products made at The Soap.Bar are made only using vegetable oils instead of animal fat making EVERYTHING we sell vegetarian. Our products labelled as vegetarian contain skin-nourishing animal byproducts including but not limited to honey, silk fibers, goat's milk powder, and beeswax. Our vegan products are made only of vegetable oils and are free of ALL animal byproducts. How do I make the soap last longer? 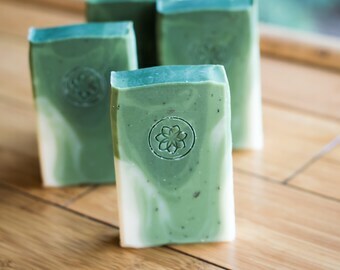 Once you have started to use your bar of soap, be sure to set it in a slotted soap dish. All sides of the bar should be exposed as much as possible so that the bar may ventilate and fully dry. Any soap sitting in a puddle of water on the counter or in the shower will get mushy and not last as long.